Welcome back, ladies! 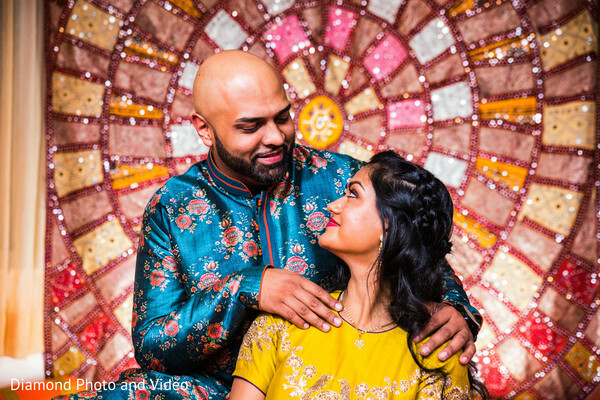 I’m really excited to showcase all the beautiful customs and ancient rituals that took place as part of Sejal and Pratesh‘s wedding festivities! 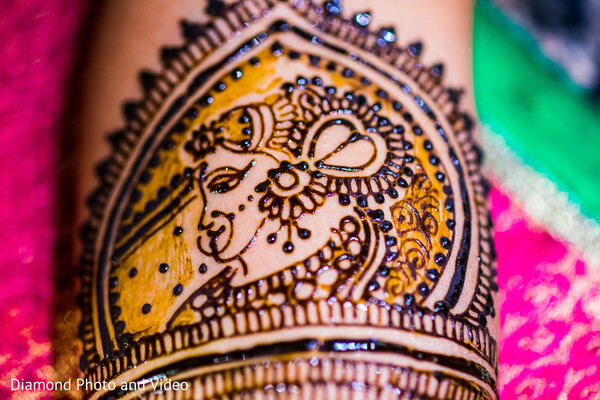 Their long list of events started with a lovely mehndi party. Bride Sejal observed this beautiful ritual in a fantastic mehndi session where she was applied traditional motifs with henna. 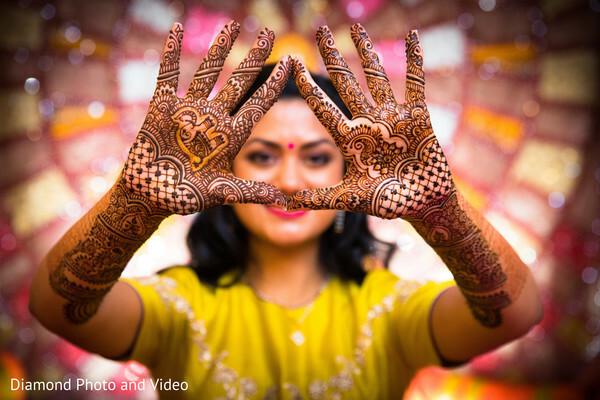 The acclaimed Diamond Photo and Video’s team masterfully captured lovely close-ups of the bride’s hands and the colorful celebration! 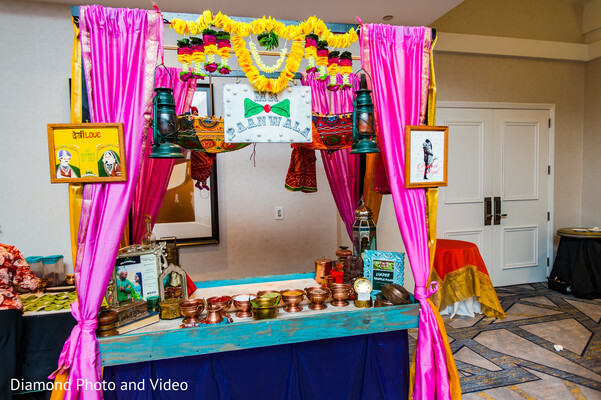 Ahead of the nuptials, the luxury indoors of the Sheraton Mahwah received the sweet couple to carry on with the wedding spree. 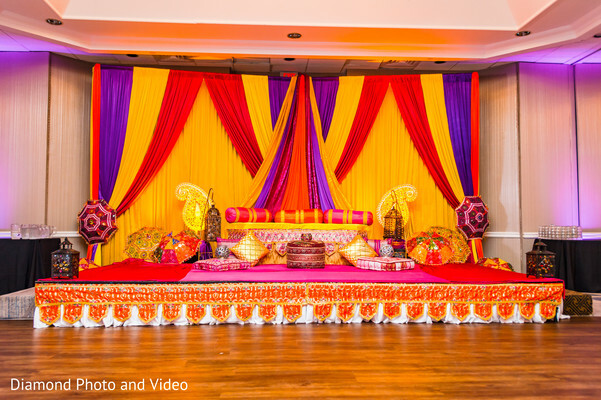 Vivid colors, lush decors, and golden lanterns festooned the hall and a charming PAAN station was set up by Mr. Paanwala for everyone’s delight! Fortunately, Chand Palace made the night even more special, offering the best of its menu before the Raas-Garba energetic and playful dances started! 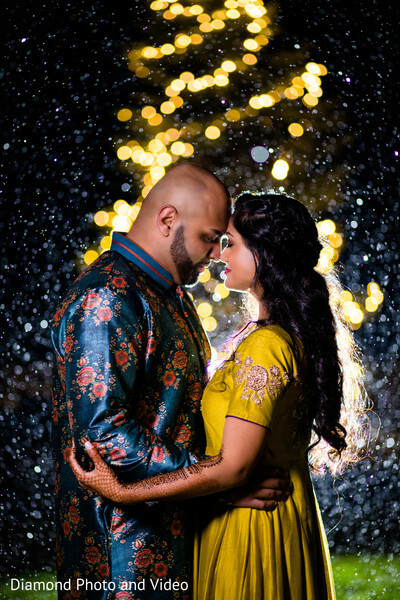 Find all the best pre-wedding moments in our gallery! We met through a mutual friend, Nilam. Pratesh and I had our first date in South Jersey. It was actually THE most amazing date I have ever had in my life! Our date consisted of dinner and drinks. We talked and talked and talked til 4 am the next morning. I knew he was the one after the first date, but I didn't want to believe it until I knew how he felt about me. The process of dating before deciding to get married was short. 3 weeks after we met, we decided to officially be boyfriend and girlfriend. 1 month after that, he met my family, 1 month after that I met his family, and 1 month after that we set a wedding date for 11/11/17. When you know you know is so true! We had actually FIRST met or were introduced 4 years prior to our first date, at the Indian Restaurant Pranna (turned into a party at night). I was instantly drawn and attracted to him. I love the shaved head and beard types! Anyway, I was waaaay too nervous to talk to Pratesh that night. In turn, he was interested as well but didn't come up to me because he said I looked like I wasn't interested. 4 years later we met again and it was just the perfect timing. Timing is everything. Share the scoop on your Proposal Story!. We went to Aso Palav in Ahmedabad, India. They have two stores and we went to both and pretty much tried on every outfit that they had. The choices they have are pretty amazing and I was completely satisfied with the bridal choli. 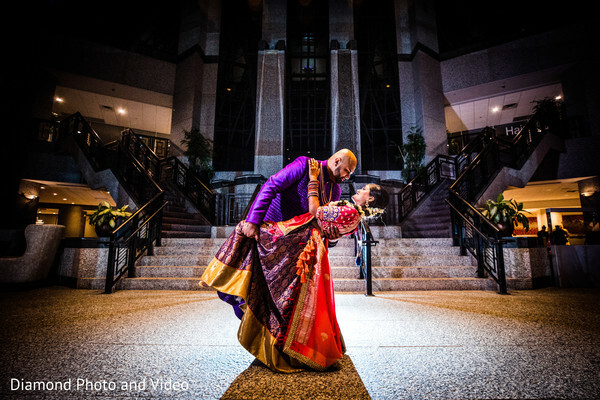 As far as colors, I wanted red and green for my lengha. (Green is our favorite color) What I ended up choosing was a red and pink outfit which was perfect! Even though I couldn't have green in my lengha, we made sure the bridal party represented the green! FOOD tasting was the most enjoyable part of the planning process. Each vendor was very accommodating. Also, wedding shopping in India was unforgettable. Although it was stressful, spending time with family, shopping and being catered to was so much fun! 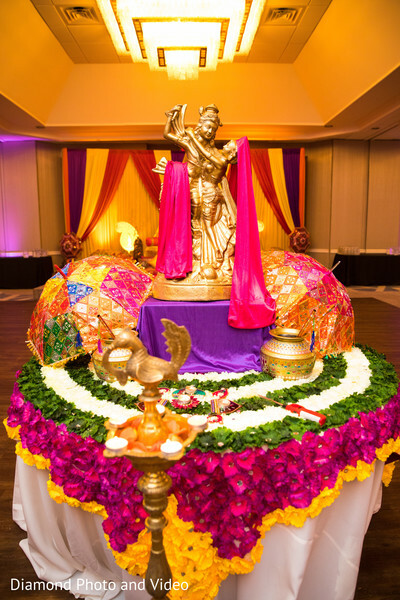 The guests loved the food for all events and the entertainment for every night. When we played our "HOW WE MET" video for our guests at our Reception. They LOVED it and could not stop raving about it. I've pasted the link below. 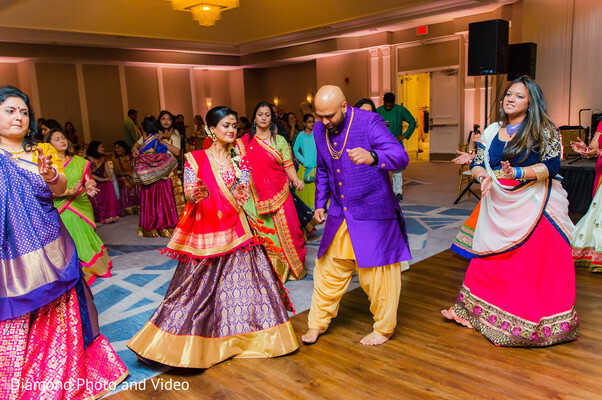 If you are planning on having a full-blown Indian wedding with all the works (Garba, pithi, sangeet, mendhi), hire a wedding planner for the full package. Trust me, it will be worth it. I, however, had the planners for only the day of the wedding and reception. They were still lifesavers! Take time to research vendors, also ask your friends and family for recommendations. 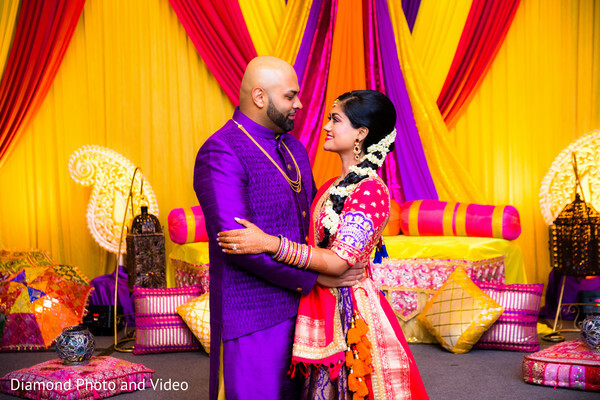 This vibrant wedding is far from ending; the ceremony images are up next!